What’s New with Community Choice Energy in San Jose? Community Choice Energy in San Jose is moving forward with approval for exploring the program from the City Council. This past year, San Jose Community Energy, a group of San Jose residents, worked closely with the Center for Climate Protection to advocate for a Community Choice Energy (CCE) program and perform community and business outreach. 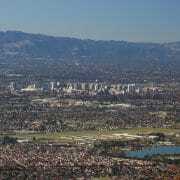 The Center for Climate Protection had already been doing advocacy and outreach work in San Jose for several years. On March 1st of this year, the City Council took a significant step and approved a report from the City’s Environmental Services Department (ESD) recommending the issuance of a CCE Request for Proposal (RFP). The RFP will be issued for an entity to provide comprehensive CCE development (including a technical study and community outreach), finance, launch, and to operate a CCE program at rates competitive with PG&E. The City Council also asked for an analysis and comparison using the technical study data of a “public option,” i.e., a CCE program to be operated by the City. On March 29, the City Council approved Mayor Sam Liccardo’s annual City budget message, which included $300,000 and a proposal to modify the March 1st Council action. The budget allocation and modification would direct staff to release an RFP for a technical study, rather than a more comprehensive service-provision proposal with a technical study. The funding is to be included in the next budget, which begins on July 1, 2016. The Mayor’s budget message direction will be used by the City Manager in May to prepare the City’s next budget. The City Manager’s proposed budget will be considered for City Council approval at the end of June. Mayor Liccardo noted in his budget message that as part of the process to explore CCE in efforts to achieve the City’s ambitious renewable energy goals, “a technical study must be conducted to determine the feasibility for launching a CCA [CCE] in San Jose. This critical analysis would analyze such issues as financial viability, energy loads, our customer base, rate competitiveness, governance models, renewable energy scenarios, and employment impacts.” We anticipate that the City Council will approve the funding in June and that the City’s ESD will issue a Request for Proposal and Qualifications for the technical study this summer. our expert Silicon Valley consultant give thumbs up following the vote. Ruth Merino is the Chair of San Jose Community Energy. If you are interested in learning more about SJCE, which meets monthly, please visit www.sanjosecommunityenergy.org or e-mail Ruth at info@sanjosecommunityenergy.org. 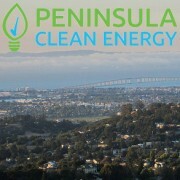 https://cleanpowerexchange.org/wp-content/uploads/2016/04/san-jose-community-choice-vote.jpg 358 732 Guest Blogger https://cleanpowerexchange.org/wp-content/uploads/2016/03/cpx-logo-1.png Guest Blogger2016-04-11 12:24:242016-07-11 15:58:25What’s New with Community Choice Energy in San Jose?